James Gang was one of the top hard-rock acts in America, formed in Cleveland , Ohio in 1966 by drummer Jim Fox. Though guitarist/singer Joe Walsh is most often associated with the early and highly successful James Gang, he actually was the replacement for Glenn Schwartz, who departed in January, 1968 . In December 1971 Walsh left the band and replacement by two Canadian musicians, singer Roy Kenner and guitarist Dominic Troiano. Troiano left the band in 1973. The remaining James Gang members contacted Tommy Bolin from a band called Zephyr, on the recommendation of Joe Walsh. After a 15 minute audition, Bolin was invited to join. The James Gang offered Bolin the chance to play in front of large audiences, contribute heavily in the song writing, and earn a significant living. Bolin wrote or co-wrote eight of the nine songs from the band's next album, "Bang". However, by the time the L.P. "Miami" was released in July of '74, Bolin had turned in his resignation to join Deep Purple. 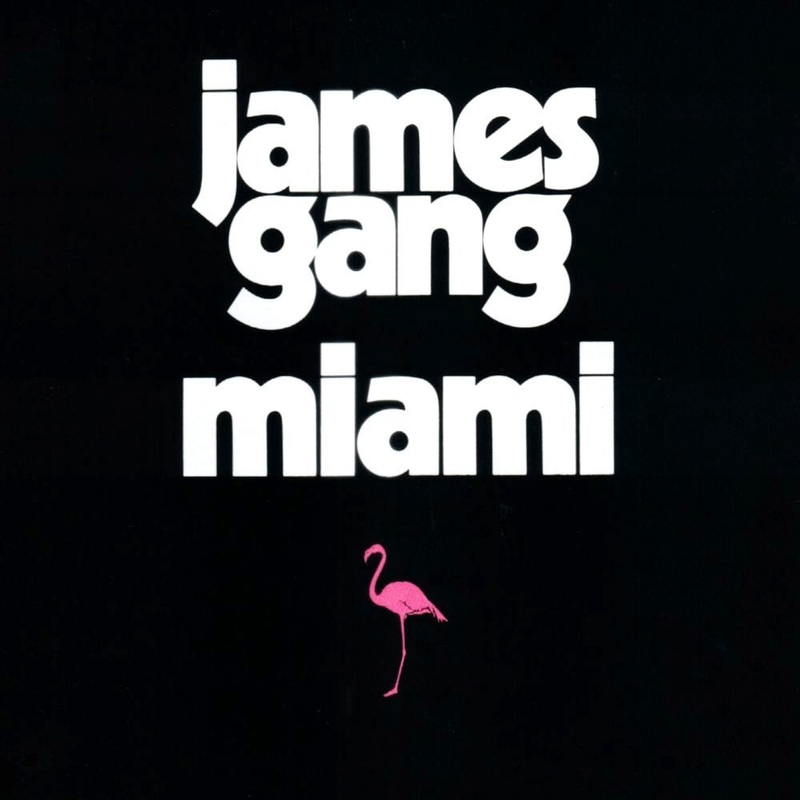 "Miami" is the seventh album by James Gang. The album was to some extent a letdown to fans who were blown away by "Bang". The material didn't seem quite as compelling, and there was somewhat of a feeling that the band was going through the motions. The album has held up quite well though, and is an essential additional to any Tommy Bolin fan’s library. The front cover is a black copy of their second album, James Gang Rides Again.